This month, one hundred years ago – June 1917 – just 14 months after the Easter Rising and with the political climate throughout Ireland dramatically changed, the last of the sentenced republican prisoners in jail in England arrived home to an enthusiastic reception. During May 1916, following the end of the Rising, almost 2,000 Irish Volunteers from all over Ireland, were deported to internment camps and jails in Wales and England. In August 1916, 1,136 internees in Frongoch Internment Camp in North Wales were released and the remaining 600 internees were freed the following December. However, over 100 sentenced political prisoners, including Countess Markievicz, continued to be imprisoned throughout England. Lloyd George, the British prime minister, was challenged with increasing calls for the prisoners’ release and the anxiety of another prisoner being nominated for the forthcoming East Clare by-election following the election of Joe McGuinness as MP for South Longford the previous month. Lloyd George proclaimed a general amnesty for all republican prisoners in English jails. There was rejoicing all through the night before the arrival from England on the mail-boat from Holyhead of more than 100 political prisoners. Huge crowds gathered to greet them. By the time the eight ex-prisoners from Cork arrived at Glanmire Railway Station on Saturday 23 June (now Kent Station) at 8:35pm, an enormous crowd, stewarded by the Volunteers, was waiting for them. They were given an enthusiastic reception. The eight comprised J J Walsh (Cork-born, Postmaster General to Irish Volunteers), Diarmuid Lynch (Tracton-born, aide-de-camp to James Connolly and staff Captain in GPO, Dublin 1916. David Kent (Castlelyons-born, brother of Thomas and William), Maurice Brennan (Dromina-born, B Company, 1st Battalion, Dublin, 1916), Fergus O’ Connor (Cork City-born, F Company, 1st Battalion, Dublin, 1916), William Tobin (Cork-born, fought in the Four Courts Garrison, Dublin 1916), Con O’ Donovan (Clonakilty-born, fought in Four Courts, Dublin 1916), and Thomas Hunter (Castletownroche-born, second-in-command at Jacob’s Factory in Dublin 1916). Long before the arrival the Glanmire Station premises were taken in charge of by Irish Volunteers, and large numbers of people gathered both inside and outside the building. On the big entrance gates spanned a banner signaling a céad míle fáilte to the incoming political prisoners who travelled by the 3 o’clock train, from Dublin. Contingents to form the procession were marshalled in the station yard. Many were members of Gaelic clubs, wearing their jerseys and carrying sticks, to many of which was tacked a photo of one or other of the leaders in the Easter week rising. With them were the Workingman’s Brass and Reed Band and the Blackrock Fife, and Drum Band, and the Brian Boru Pipers Band, with deputations from Belvelly to Blarney. The train emerged on time from the tunnel. All the vantage points from the station at to the: National Monument on the Grand Parade were crowded with people, and on the footpaths hundreds congregated. Cheers of welcome and the waiving of flags marked the progress of the procession, in which, in addition to the Gaelic Clubs, the Camogie Association, the Finnan na Fáil, Cumann na mBan, Irish Volunteers, with Pipers Band, took part. The procession was headed by the Workingmen’s Band and these led the wagonette in which the eight were placed. When the National Monument was reached, J J Walsh and his colleagues were lifted on to the platform, and formed up in line to face the crowd. This was the signal for another outburst of cheering and waving of hats, handkerchiefs. and flags. After some time, the meeting was called to order and speeches delivered. 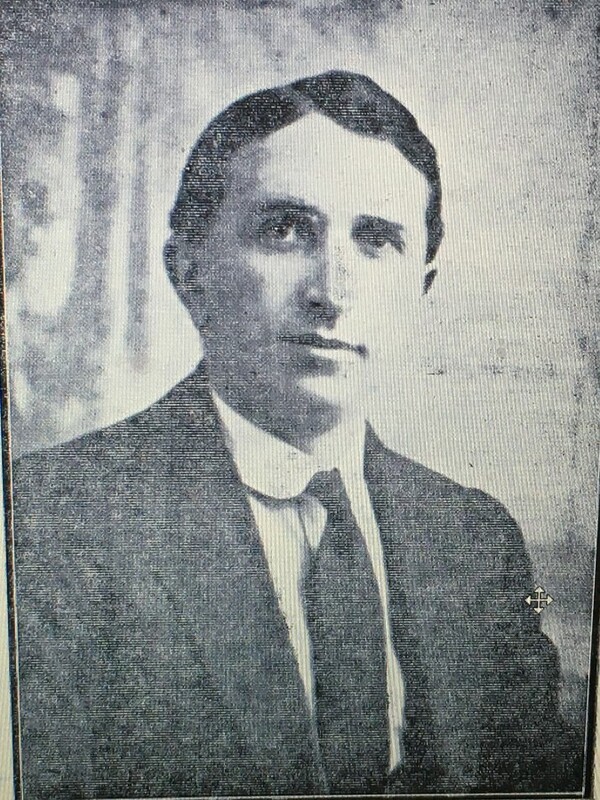 Tomás MacCurtain presided. 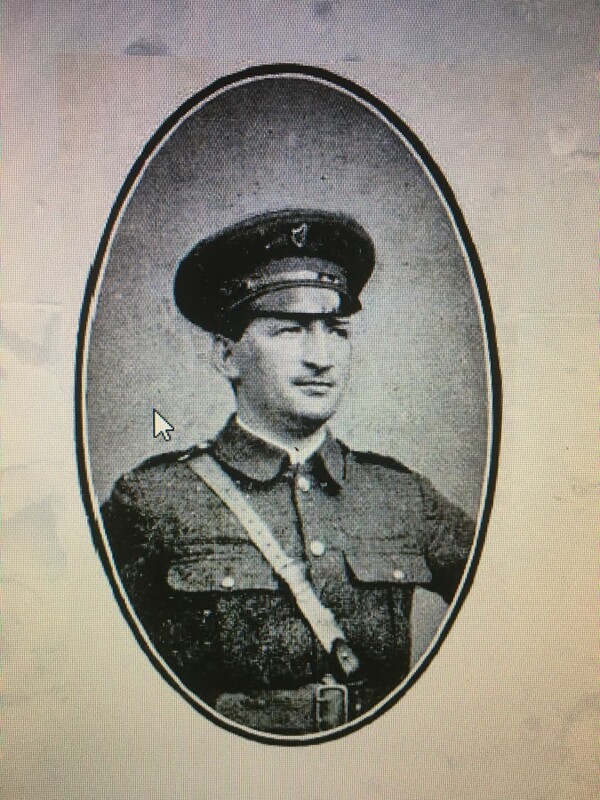 He had also been released, made his way back to Cork and returned to active duty as a Commandant of the Cork Volunteers. His speech offered “one hundred thousand welcomes” to the eight arriving back home. They honoured the flag under which these men fought. He trusted that “the spirit that they had put into the people would live for all time”. Terence MacSwiney also expressed similar points to MacCurtain’s. He had been interned in Shrewsbury and Bromyard internment camps until his release in June 1917. In turn, each of the eight ex-prisoners gave passionate speeches to the crowd about the 1916 Easter Rising and plans for the future. J J Walsh noted that if was necessary they would have another Easter Week. Thomas Hunter wished to have an Irish army. 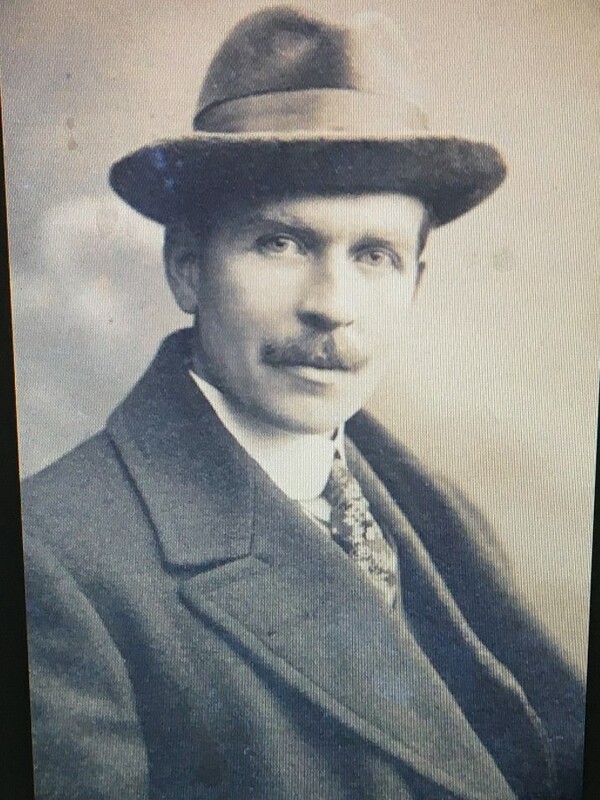 Diarmuid Lynch wanted no Irish Convention or concessions from England – just an “Independent country”. David Kent was proud of the actions of his brothers and mother. Con O’Donovan spoke about wanting an “All-Ireland, not a half or three-quarters Ireland”. Fergus O’Connor noted that the Irish Republic was “alive and strong”, and that their cause would be successful. After the meeting the procession again formed, and escorted the party to the Victoria Hotel. While the proceedings in connection with the procession were orderly, there were some incidents subsequently including the smashing of the windows of the windows and the breaking of the fire escape at the Courthouse. The escape was used to hoist the Sinn Féin flag over the courthouse. The following day riots broke out in the city.